What changed in college admissions this summer? Every new college admission season is slightly different than the last. This year, there are a few changes in college admissions that students need to be aware of. 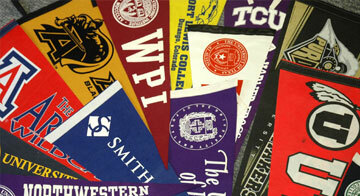 Have you been keeping on top of your college prep responsibilities? Check out this new article. Changes to college admissions procedures were introduced in all arenas. First, FAFSA filing just became more straightforward, as the federal government has assumed ownership of the easy-to-remember fafsa.com web address. Second, finding outside merit aid became more difficult when Cappex acquired a major scholarship search site. Third, wit the new SAT set to roll out in the spring, several schools have updated their testing policies to reflect "test optional" standards. Finally, some schools started allowing students to apply to college during the summer. Not to worry, though, as colleges are required to give equal consideration to students who apply before October 15. Will any of these admissions changes affect you? Let us know in the comments below.